Ahhh! It's February! Which means we are LIVE! For those of you that don't know us, we are Aymee and Molly, two friends who happen to share a love of interior design. We met about six years ago, serving on the Oregon State University Young Life College leadership team. 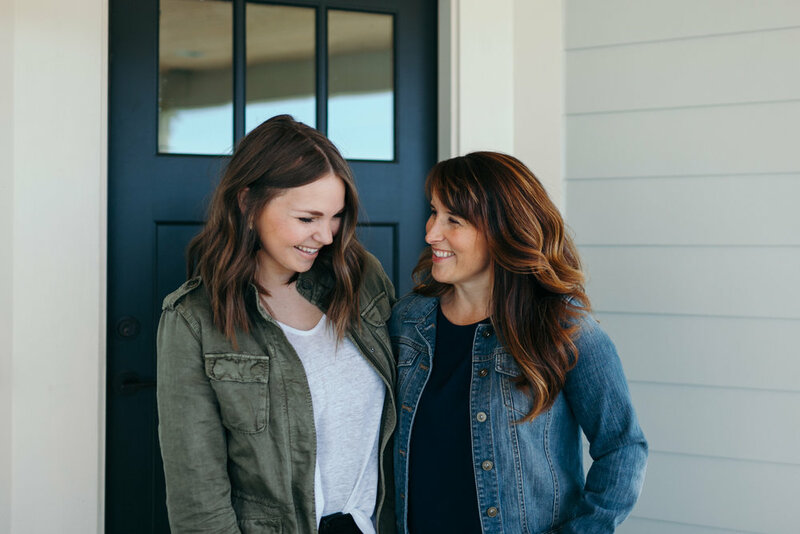 Aymee hosted Young Life College at her house, and always made sure her home was a comfortable and safe environment, by having beautiful design. Aymee and Molly immediately hit it off, for many reasons, but one being interior design. Six years later, with lots of dreaming, praying, and planning, the two have decided to make a business out of their passion! Interior design is something we are so passionate about, and it's a gift we want to share with others. Being in a space with quality design, you feel refreshed, alive, comfortable, and inspired. We desire to create spaces that leave you feeling all of those things and more. Everyone deserves to live in a home their proud of, and we want to ensure our clients that that's exactly what we will give them... A home they are excited to come home to, a home they want to spend time in, and a home they want to share with others. We hope you frequent our site often for design tips, inspiration, and services! Whether you live right down the street from us, or on the other side of the world, we would LOVE to help you create your dream space! Make sure you sign up for our emails, like us on Facebook, and follow us on instagram, pinterest, and twitter!